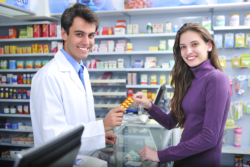 In the hope of serving you better, Sun Discount Pharmacy’s dispensing system now accepts Surescripts E-Prescriptions. With E-Prescriptions, we now shift into a paperless and more efficient way for prescribers, pharmacists, and prescribers to be able to make better medication management assessments. With our E-Prescription service, our customers who are constantly on the go and have no time to have their prescriptions traditionally filled, now has a safer and more efficient alternative.